This is a scalable context timeline. 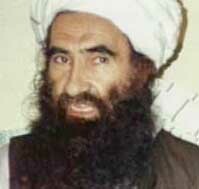 It contains events related to the event (1987): CIA Funds Mujahedeen Leader Who Supports Bin Laden. You can narrow or broaden the context of this timeline by adjusting the zoom level. The lower the scale, the more relevant the items on average will be, while the higher the scale, the less relevant the items, on average, will be. At some point in 2006, an unnamed senior ISI (Pakistani intelligence) official admits that militant leader Jalaluddin Haqqani is a Pakistani asset. The official makes the comment after being asked by a New York Times reporter why the Pakistani military has not moved against Haqqani. Haqqani is head of the Haqqani network, a semi-autonomous branch of the Taliban, based in Pakistan, that is launching attacks against US forces in Afghanistan. 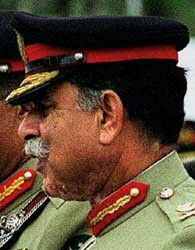 [New York Times, 6/17/2008] In 2008, US intelligence will similarly overhear the head of Pakistan’s military call Haqqani a “strategic asset” (see May 2008).